Celtic Hammer | Passionate about Celtic. West Ham in England. Glasgow Irish FC have made it through to the semi finals of the Scottish Equality Cup after accepting an invitation to play in this seasons competition against teams from the Scottish Unity League. The competition is unique in itself with a handicap system in place prior to games kicking off. This means teams start the game with a +goals handicap based on their finishing position in the league table that season. With GIFC fully behind new concepts this competition has proved to be a worthwhile exercise already for the club and we have found the standard to be of a high quality. Below is the story of our group games in the lead up to the semi final which we will compete in this coming Sunday. Glasgow Irish started this game with a +3 goal difference and a shocking opening 60 mins seen that lead decimated when Afghan stormed into a 3-0 lead at Milton of Glasgow. GIFC started to adapt to some very windy conditions however and scored 3 goals in the final 30 mins through Kevin Barr, Mark Paterson and Jordan Penny to grab the 3-3 draw on the day but take all 3 points due to the +3 goal handicap. Man of the match for GIFC was Kev Barr on the day. The Irish were up against the Scottish Unity Leagues Invincibles in Unreal Madrid as they had stormed the league and swept all before them unbeaten this season. A superb feat for any side at any level. With 10 regulars missing this was always going to be an uphill task for The Irish and they found themselves 0-4 behind with 30 mins left to play. Cammy McIntyre pulled one back for GIFC when his 25 yard free kick outfoxed the Madrid keeper and found its way into the top corner. Mark Paterson then buried a penalty after Ryan Mulheron had been hauled to the ground. Top scorer Paterson then scored direct from a corner kick as GIFC took the win yet again thanks to the +3 goals handicap rule. Man of the match on the day was Marc Coyne. GIFC stormed into an early lead against this awkward opponent in Westfield when Chris Gillespie slotted home from the spot. Goal number 2 arrived when Owen O’Donnell scored an absolute screamer from all of 30 yards to leave the keeper with no chance. Scott Connolly then raced clear to beat the keeper with a cool finish through one on one. Chris Gillespie then scored his second of the day with a lovely lobbed finish after being sent clear by Penny. Man of the match Jordan Penny. This seen GIFC top Group A and they will now meet Oasis FC in the semi final on Sunday 28th April at Firhill Complex. Regardless of handicaps etc this has been a great achievement to even get this far given the threadbare Glasgow Irish squad the management has had at its disposal. We now look forward to this weekend coming fixture. Glasgow Irish FC were away from home despite the game being played at a location that very much suited the team this Thursday evening. With returning GIFC Manager Paul Mulgrew looking to get The Irish into a winning mentality this was a huge fixture for obvious reasons. GIFC started brightly in the opening stages but fell behind when the Vale number 9 cracked home a free kick with his left foot from 25 yards. 1-0. This seemed to drain the life from The Irish and things got worse still when they went further behind after the same Vale player scored direct from a corner with the GIFC defence in tatters. 2-0. Chris Gillespie was then sent clear only to see a fantastic save from the Vale keeper keep out his deflected volley. Vale went further ahead when the number 9 completed his hat trick firing home from 20 yards out after yet more abysmal defending from the Irish. 3-0. Some hope was to be restored however when Irish captain Mark Mullen sent a free kick deep into the Vale penalty area which seen Jordan Penny pressure the Vale keeper into a major mistake as he let the ball slip through his grasp into the net. Mullen will claim the goal and a lifeline for GIFC. 3-1. This seen Vale press on and yet more shocking defending from GIFC seen Mark Mullen go in late on a Vale forward and concede a penalty which was duly converted. 4-1. With the Irish looking lost Mulgrew made some much needed changes to personnel and formation at half time with Singh, Mclean, Mulheron, Belton and Jacko Gordon introduced only 5 mins into the second half. This paid off immediately when Singh sent Chris Gillespie clear to send a cool finish home. 4-2. Singh was beginning to cause all sorts of problems for the opponents with Mulheron, Gordon and Jordan Penny also starting to dominate the midfield. The third for The Irish was a thing of beauty with Sean Belton picking the ball up just inside the Vale half before taking a touch and sending a half volley from 30 yards into the top corner of the net with the outside of his right foot. A collectors item of a goal. 4-3. This knocked the stuffing out of a spirited Vale side and the Irish drew level when from a Paterson corner, Jacko Gordon seen his header come back off the bar to fall for Chris Gillespie to crack home an emphatic finish into the roof of the net from the tightest of angles. 4-4. There was only going to be one winner now and it duly arrived from that man Gillespie again. Jordan Penny won the flick on in midfield and Chris Gillespie raced clear of the Vale defence to send the ball home with superb composure. 4-5. Paterson then seen an effort from 20 yards come back off the post in the dying moments. A superb fight back from GIFC. Thanks to Vale Rangers for the game and good luck in the future. Man of the match Chris Gillespie. Closely followed by the entire squad of players. Glasgow Irish FC accepted the invitation of a friendly match versus Eastend United this Tuesday past. Having quit the Sunday Central AFL the Irish needing to keep the players sharp before our new adventures begin. The game also took on special significance as it would be the last that Irish Manager Richard McCabe would be in charge of his team. The agreement for Richard to move aside an amicable one which will see him further benefit the club by returning to a playing role. With this being a friendly there would be some experimentation with squad selection and a chance throughout the evening for much needed game time for some of the players on the fringes of the team. GIFC started the game well and seen us play some slick football. The first ten minutes providing some really easy on the eye stuff without any end product however. Eastend coped well with the initial Irish play and went ahead when their striker beat the GIFC offside trap to beat Coyne when through one on one. The GIFC defence appeals for offside falling on deaf ears. 1-0. This setback didn’t deter GIFC though and the free flowing football got its rewards when Mark Paterson cut in from the left wing to square the ball to Chris Gillespie to finish with ease. A fine move by the Irish and well earned reward for our striker. 1-1. Just before the half hour mark Drew Keating sent a lovely ball forward to Gillespie and the striker found the onrushing Tony Owens with his flick on only for the midfielder to see his shot cannon off the post. A decent effort from Owens. Moments later Martin Hill was sent through on goal and seen his shot turned onto the post by the Eastend keeper. The Irish then strangely fell out of the game and resorted to a long ball tactics. Eastend took full advantage of this lapse by GIFC and peppered the Irish goal in the closing stages of the first half with Marc Coyne having to pull off some great saves to keep GIFC in the game. Kevin Barr kept things level with a headed clearance from the goal line following an dangerous corner. Eastend weren’t to be denied however and a poor GIFC goal kick fell kindly for an Eastend midfielder to send a 25 yard volley past Coyne to take the lead yet again. 2-1. Connolly, Conroy, Penny, O’Donnell and Hogan came on for the Irish at the interval as they looked to get back into the game. On 55 mins the Irish drew level when another passage of nice football seen Hogan hold the ball up well before sending Chris Gillespie clear to finish well. Gillespie showing great composure throughout. 2-2. The Irish then settled into the game and fought hard when not in possession limiting Eastend to just one chance the whole second half which Coyne saved easily. Owen O’Donnell made a great impression in the second half and was unlucky to see his volley tipped round the post later in the game. Any time Eastend managed to get through the Irish defence was resolute with Mark Mullen in particular keeping everything at bay with some solid defending. The Irish wasted a number of opportunities to take the lead with some poor finishing when in on goal. Something they need to improve on going forward. On 88 mins GIFC grabbed the winner after some sustained pressure on the Eastend goal. Gerry Hughes held off 3 defenders before playing Jordan Penny in and the midfielder cracked the ball home to win the game. 2-3. A good win for GIFC after a Jekyll and Hyde first half performance. Man of the match was Marc Coyne followed very closely indeed by Mark Mullen. Some very good performances on the night from Chris Gillespie, Owen O’Donnell, Jordan Penny and Kevin Barr. Everyone at the club would like to extend huge thanks to Richard McCabe for his tireless work since taking the reigns as manager. Thank you also to our opponents Eastend United for the game. GIFC welcomed top of the league St Rochs in a home fixture on Tuesday evening. Despite the best efforts of the dismal weather the game went ahead at Stepford Playing Parks with The Candy sitting on top of the pile that seen The Irish lie in second bottom. This game will also take on special significance in the short history of GIFC as it would be the last fixture they would play in the Sunday Central AFL. After yet more farcical behaviour from the League hierarchy the Glasgow Irish Board decided on immediate action which will see the club leave the league with 3 fixtures still to play. The decision not taken likely, but a series of utterly shambolic decisions and items of conduct from the “custodians” of the league, the Irish joined an ever growing list of teams to walk away this season. With the politics out of the way before the game the Irish set about the hard task of trying to topple the leagues form team. The harsh weather made it tough work for both teams and credit to both sets of players for trying to get the ball down and play. St Rochs rarely threatened in the first half and the Irish more than matched them all over the park. 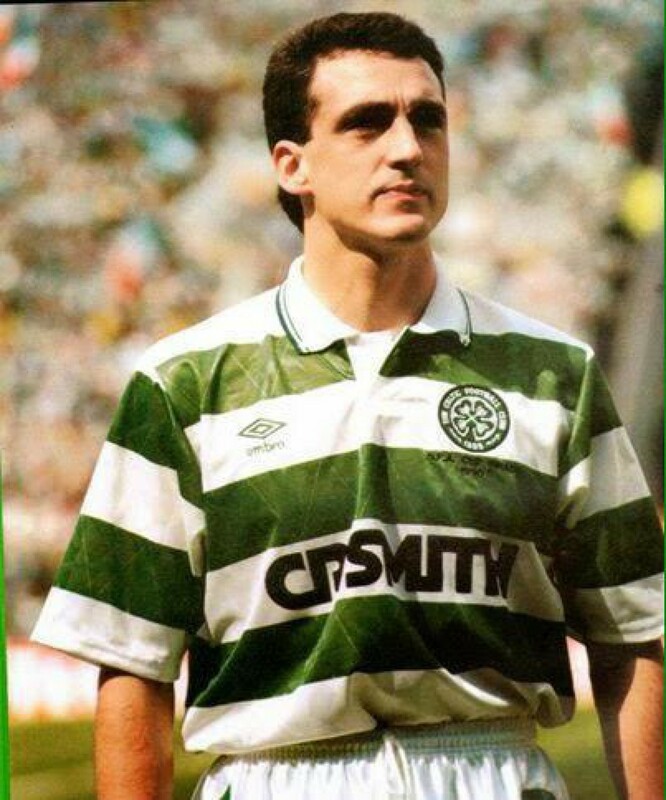 Then came a decision that would end up costing GIFC big time. Chris Gillespie was sent through on goal and the striker seen his effort saved only for the Candy goalkeeper to let the ball squirm over the line. The St Rochs keeper then clawed the ball back into play and seen the referee wave play on. The official completely missing the ball crossing the line and what was a clear goal. This only served to delay an Irish breakthrough and this duly arrived when Mark Paterson got on the end of a knock on from Gillespie and fired home a volley from 12 yards for goal number 16 of the season. 1-0. Half time seen an already depleted Irish side lose Tony Owens and Sean Belton to injury. This unsettled the Irish no end and St Rochs dominated the second period scoring 3 goals without reply as GIFC gave up a lead against The Candy for the second time this season. We would like to wish St Rochs all the very best moving forward. Man of the match for GIFC C.McIntyre. Good performances from Jacko Gordon and Jordan Penny on the night also. The biggest positive from the evening being GIFC will never again have to deal with a completely incompetent League set up. We look forward to our future and a fresh start. The Irish travelled through to Barrhead this Sunday to face Weirs on league duty knowing full well what a difficult task they had in front of them with Weirs being in ruthless form throughout the season. It was no surprise when Weirs took control early in the game going 2-0 ahead in the first 15 mins after basic errors cost GIFC dearly. Martin Hill should have got the Irish back in the game after good work by Kevin Barr and Chris Gillespie sent the big forward clear only for him to fluff his lines and see his shot saved by the Weirs keeper. The home side added a third just before the break to knock the wind out of GIFC. Injuries to Verdejo, Owens and Conroy seen the Irish defence completely decimated and Weirs took full advantage as they scored 4 goals in the opening 20mins of the second half. 7-0. A scoreline that could have been much, much worse if it wasn’t for the efforts of GIFC keeper Marc Coyne who produced some first class saves throughout the game. Weirs were a joy to watch going forward and played the game the correct way all through the match. In the final 15 mins the Irish took the game to the hosts. Jacko Gordon was first to shine as he gathered the ball on the edge of the Weirs box and smashed a right foot volley into the top corner of the net. A fine finish from a player who didn’t deserve to be on the losing side after his efforts. 7-1. The second for GIFC came when Jordan Penny hit one from 25 yards. The ball hitting the bar then in off the keeper. A fine strike from a player who worked tirelessly all day. 7-2. Weirs were now hemmed in and inviting GIFC onto them and the Irish duly obliged with Jacko Gordon getting his second of the match when he smashed the ball low into the bottom corner from 22 yards out. Another great strike from the GIFC man. 7-3. Mark Paterson went through on goal on two occasions in the final 5mins and the top scorer will feel he should have done better with his decision making each time. Chris Gillespie got number 4 for GIFC when he sent a cracking volley across the Weirs keeper into the corner after decent build up play on the right. A well deserved goal for Gillespie after a hard working performance. 7-4. All in this was a bizarre game but one the Irish can take some pride away from given the class of their opponents. Given the squad manager Richard McCabe had to choose from hopes weren’t very high going into a fixture against a top side who have handed out several double figure defeats to teams in this league. With only pride to play for in the league the Irish will find it hard to keep up motivation from week to week but the players would do well to remember next season a fresh challenge and better opportunities lie in wait. Man of the match for the Irish was Jacko Gordon. GIFC would like to wish Weirs all the best in the push for the League. Without a doubt the best side we’ve faced this season and a team that conduct themselves properly in all areas. Glasgow Irish were away to Bardykes Rovers yesterday looking to improve upon a dismal run of form in recent weeks. The task made all the harder with a depleted squad due to various reasons. The Irish started the game well and Jordan Penny and Kevin Barr set the tone for the afternoon with some superb ball winning tackles in the heart of the midfield. Tony Owens had the first chance for The Irish after being sent through on goal only to see his well hit effort saved by the Bardykes goalie. Mark Mullen then seen his free kick from 25 yards go inches over the bar with the home keeper rooted to the spot. The impressive Scott Connolly then came agonisingly close when attempting a glancing header on the six yard line. The Glasgow Irish back line were in superb form with Belton, Mullen, Murphy and Hill showing some superb composure throughout. Mark Lenaghan and Mark Paterson we’re starting to ask questions of the home defence and were unlucky not to score with a couple of half chances. The Irish started the second half on the front foot and got their rewards on 50 mins. Mark Paterson burst into the box from the left wing only to be caught late by the Bardykes full back. Paterson stepped up to make no mistake from the spot for his 15th of the season. This spurred the Irish on and Lenaghan shot over after being sent through by Barr when he should probably have scored. The striker wasn’t to be denied however and put GIFC further ahead when he latched onto a poor clearance from the Bardykes centre back and lashed the ball into the bottom corner with a first time hit. A well deserved goal for the striker Lenaghan. The second Irish goal seemed to shock Bardykes into action and they began to take control of the game. Irish keeper McLeod had to make two outstanding saves late in the game to keep Bardykes out. The home side did manage to pull a goal back with a cross come shot with 10 mins remaining. GIFC seen the game out despite some late Bardykes pressure. A much needed 3 points which lifts the Irish off the foot of the table. Man of The Match today was Jordan Penny. Very closely followed by Barr, McLeod and Murphy. GIFC were at Glasgow Green yesterday against Newmains in the league. The Irish looking to build on last weeks victory over East Kilbride and move up the table with things starting to look somewhat desperate at the bottom end of the table. It would end up to be yet another day of frustration however as the Irish toiled yet again in a fixture they would expect more from. It took the visitors only one minute into the game to take the lead. With GIFC defender Cairns under pressure, he chose the wrong option in passing the ball across his own goalmouth. Cammy McIntyre’s attempt at a clearance was unfortunate and the mishit went in off the underside of the GIFC goal to leave Coyne with no chance. 0-1. GIFC toiled to get into the game although Lenaghan will feel he should have done better after being played through by Singh. Newmains were in control of the game but the Irish managed to see off any attacks with some solid defensive work from Keatings in particular. The second half was only 5 mins old when Newmains went further ahead when more defensive confusion let the away side in on goal and the Irish were punished accordingly. 0-2. This blow seemed to rally the Irish and they grabbed a lifeline when Tony Owens chipped the keeper after being sent through with a fine ball from McIntyre. 1-2. The equaliser then followed as Jordan Penny was hauled down whilst challenging an incoming corner. Mark Paterson duly stepped up to send the spot kick home. 2-2. Newmains were then reduced to 10 men as Paterson’s direct running forced the full back into foul after foul. GIFC simply couldn’t take advantage of the extra man although they will feel aggrieved not to have been awarded a penalty late in the game. The Irish can only look on this as points dropped in a game they were looking to take the maximum from. Now sitting second from bottom in the table there is major need for an upturn in fortunes. Man of the match Drew Keatings. GIFC: Coyne, Cairns, Mullen(c), Penny, McIntyre, Owens, McAlpine, Gordon, Singh, Paterson, Lenaghan. Subs: Keatings, Belton, Hill, Hogan. The Irish face Vale Rangers away in the Cup next Sunday. Passionate about Celtic. West Ham in England.